THE VIDEOS FROM THE MINI SYMPOSIUM JULY 8th ARE NOW ONLINE. 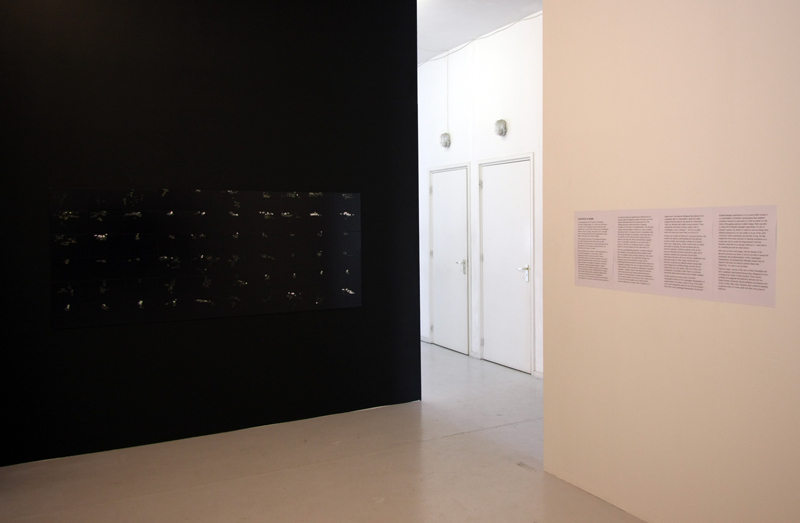 In Dolores Rune Peitersen will be showing the most recent installment, Einstein & Bohr, from his ongoing project Saccadic Sightings from July 3rd to August 28th. Initiated in 2008, Saccadic Sightings began as a study of visual perception. Using a Mobile Eye, a scientific eye tracking device, Peitersen was able to film his field of view while simultaneously capturing the exploratory movements of his eye. He was interested in the ‘raw’ visual input captured by the retina before it was interpreted and processed into experience by the brain. Underlying this project were questions raised by quantum mechanics concerning e.g. the Uncertainty Principle and whether or not it is possible to speak of a world separate from our observation of it. 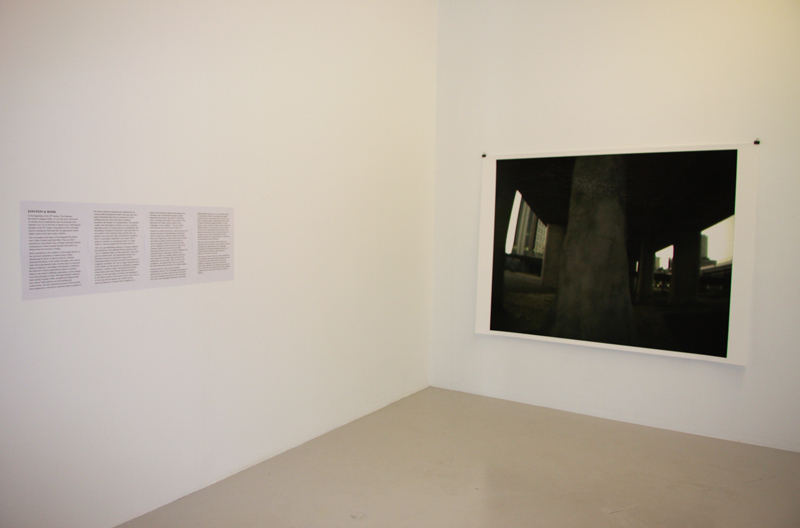 During his research Peitersen started looking into the way in which we construct our reality. Besides the physiological and psychological aspects of perception, scientific paradigms determine our view of the world. Peitersen became intrigued by how outdated but popular paradigms have developed into inflexible dogmas. The materialistic dualism of Rene Descartes, which presupposes a strict division of mind and matter, is such a dogma, which although discredited decennia ago by quantum physics, by thinkers such as Einstein and Bohr and more recently by neurological research, still remains the most commonly accepted and widely held world view. This raises the questions of why such a world view persists and what can be done to substitute it with a more adequate construction. Furthermore, Peitersen became convinced that it is art which shapes our understanding of reality. By formulating questions about perception, by visualizing conceptual constructions and making these constructions manifest in the world, art plays a much more fundamental part in the construction of our collective reality than we usually realize. These are the considerations underlying the most recent work. In one image we see the track travelled by the searching eye. 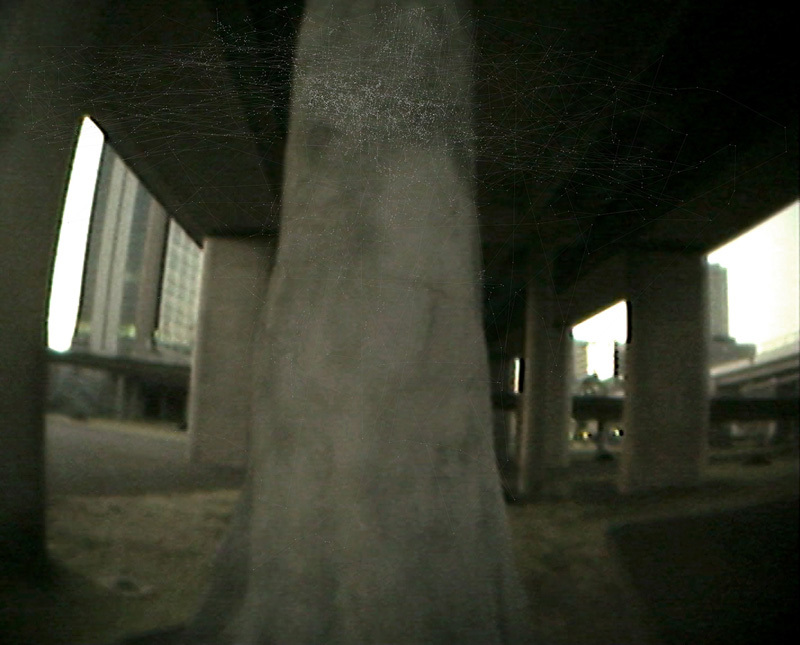 It is superimposed on a video still of an urban landscape: a snapshot, out of focus but still implying an overview. 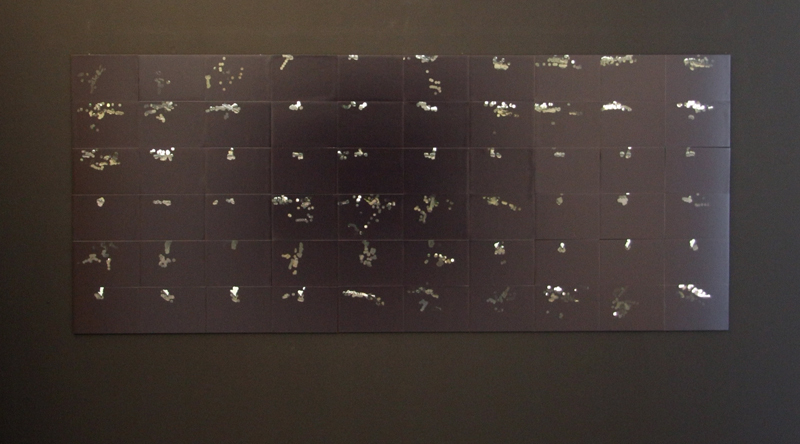 In the second work, a combination of several images, the overview is abandoned in favor of fragmented visual acuity also referring to the passage of time. Both works are linked to the text Einstein & Bohr. The issues raised will be the starting point of a public discussion in the gallery on Thursday July 8th in which Robert Zwijnenberg (Prof. Art history, University of Leiden and founding Director of The Arts & Genomics Centre), André Klukhuhn (scientist and philosopher), Saskia Monshouwer (curator and anthropologist), Mariska van den Berg (curator SKOR), Voebe de Gruyter (artist), Huib Haye van der Werf (curator NAi), Anne Kienhuis (postdoc researcher at RIVM), Tamuna Chabashvili and Adi Hollander (artists PSWAR.org), Laura Schuster (phd student UvA, Imagined Futures research group) and others will participate. Click here for biographical information of the speakers and participants. Program can be found here (English) and here (Dutch). Posted in: Saccadic Sightings, Exhibitions, Exhibitions. Tags: Saccadic Sightings Exhibitions.